The Franklin County Veterans Service Commission (VSC) moved into a new space and wanted it to be a place that was warm and welcoming from the moment a veteran walked through the door. 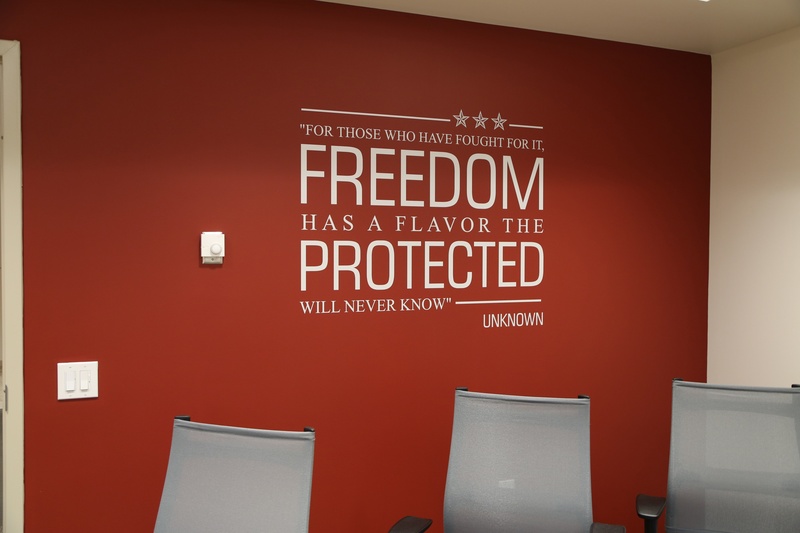 Branded elements in the reception/waiting area, interior corridors, and conference rooms including inspirational messaging, dimensional graphics, and powerful imagery invoke emotion and help veterans to feel good in the space. By recognizing all 4 branches of service and depicting all aspects of a soldier's life, we provided VSC and veterans alike a space to be proud of.